What better place to find free Excel tutorials than from the source? 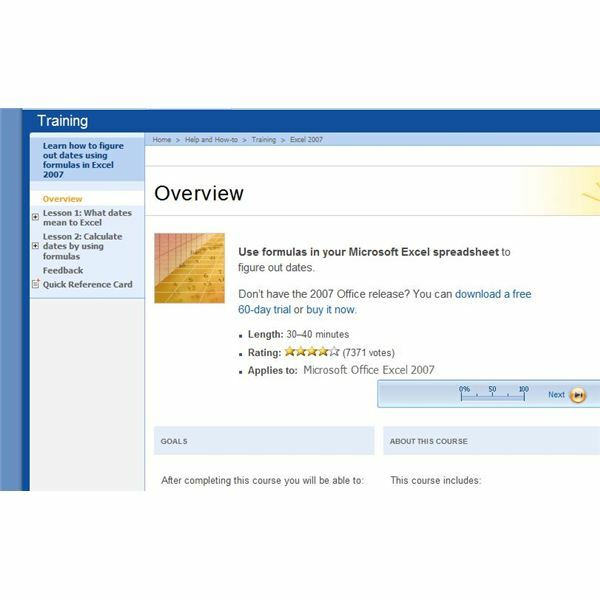 Microsoft offers 28 free Excel 2007 training tutorials that are available in both text and audio format. These tutorials feature helpful screenshots, step-by-step lessons, free downloadable practice worksheets and tests at the end of each training session. 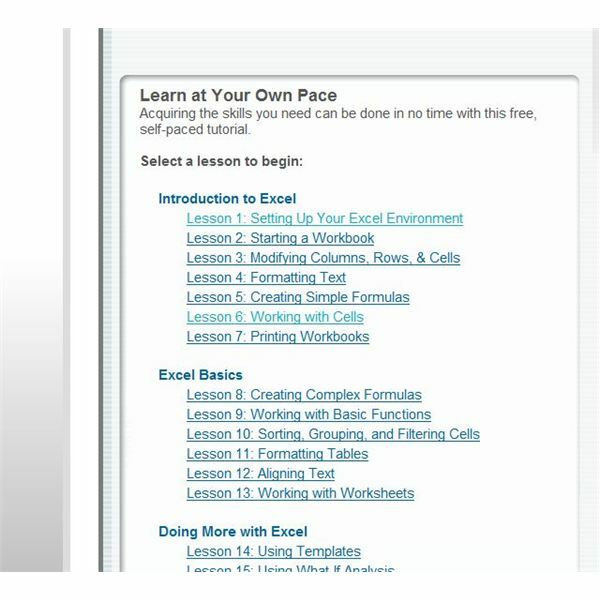 The free Excel 2007 tutorials available include "Create Your First Workbook," "Learn How to Figure Out Dates Using Formulas in Excel 2007," and "Get Started with Pivot Table Reports in Excel 2007." You can find free tutorials for Excel 2007 (and all Office 2007 programs) here. GCFLearnFree.org is a program offered by the Goodwill Community Foundation. The site offers free training and tutorials as part of their mission to "… create and provide education, employment, and life enrichment opportunities for people who desire to improve the quality of their lives." The site features over a dozen self-paced free Excel 2007 tutorials, covering everything from setting up Excel 2007 to using conditional formatting and creating pivot tables. Before you get started or after you have completed one or more of these free tutorials, you can take a test to determine how much you know about Excel 2007. The tutorials do not require you to download any software or provide information. However, if you opt to take the knowledge test you will need to create a free user account. 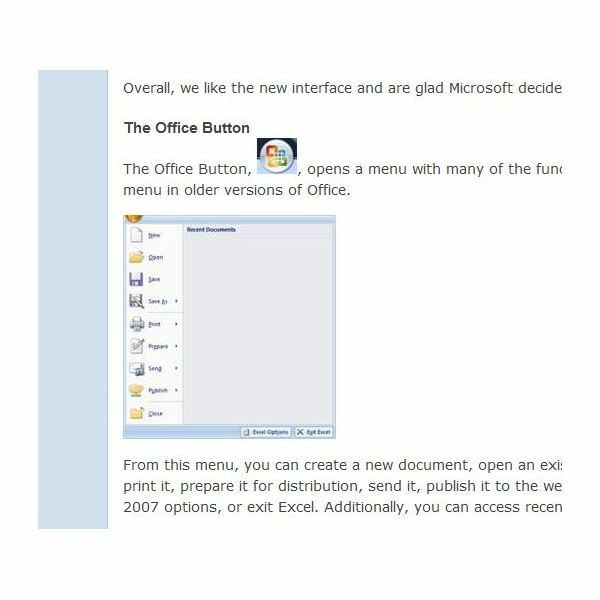 LearnThat offers a free, 23-page Excel 2007 tutorial that begins with the new Office 2007 interface and the Office Button and walks you through the steps of setting up, creating, formatting and printing a family budget in Excel 2007. You are not required to register with the site or download any software or worksheets. The free tutorials are loaded with large, helpful screenshots and easy to follow steps. There are no interactive activities or tests, but you can follow along with your own version of Excel 2007. Of course, you can find an extensive collection of free Excel 2007 tutorials right here at Bright Hub. The Bright Hub library of Excel tutorials, tips and troubleshooting contains expert articles on everything from creating charts to macros to smart art and all points in between. In addition, this collection of Excel tutorials is constantly expanding, so you can keep coming back! Learn Excel: 277 Excel Mysteries Solved!